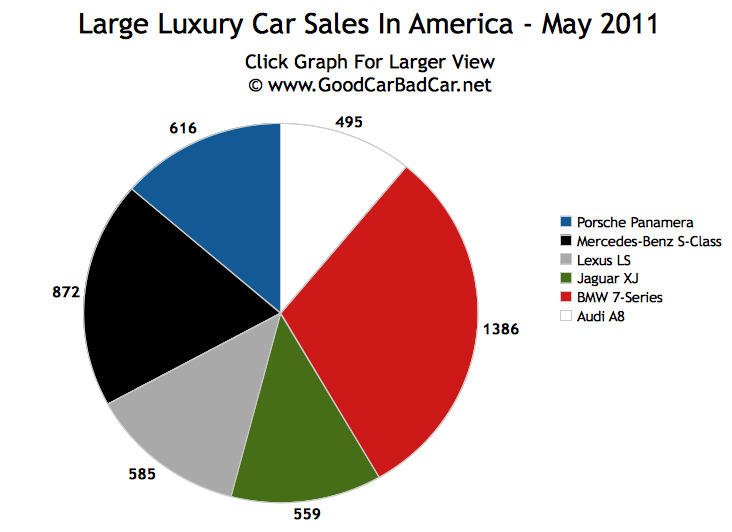 4513 large luxury sedans were sold in the United States in May. 31% of them were BMWs. 7-Series sales more than doubled from May 2010’s total and nearly doubled April 2011’s total, as well. 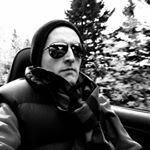 At the same time, S-Class Benz sales tumbled more than 200 units, Porsche Panamera sales barely improved, and Lexus LS sales dropped 38%. Formerly considered ultra-niche, the Audi A8 continues to post gigantic year-over-year increases. It was 662% on the plus side in May 2011. And because of its 1170% improvement, the Jaguar XJ’s market share in the segment improved to 12.4% last month. 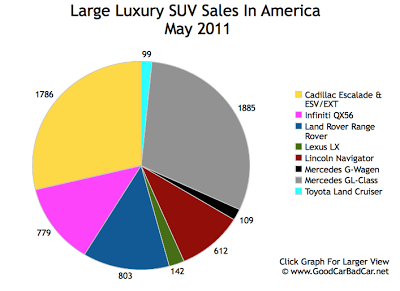 As usual, the most popular large luxury sport-utility vehicles were more popular than the most popular large luxury cars. In other words, the Mercedes-Benz GL-Class and Cadillac Escalade SUVs out-performed the BMW 7-Series and Mercedes-Benz S-Class in May. Benz GL sales rose 8.6%. The regular wheelbase Escalade was down, but the EXT (compared with other trucks, without other ‘Slades) and ESV helped with small improvements. In what should be a challenging market in these times of high fuel prices and recessionary tendencies, the Lexus LX570, Lincoln Navigator, and Toyota Land Cruiser reported declining sales. But the Infiniti QX56, Mercedes G550/G55 AMG tandem, and the Land Rover Range Rover all sold more frequently this May than last.